Today in the Latin Rite of the Catholic Church, we celebrate the feast of The Conversion of Saint Paul the Apostle. One of the most powerful miracles in the Early Church was the conversion of Saul of Tarsus, while he was traveling to Damascus. This miracle displays for us how faith develops from grace and builds when someone freely cooperates with it. The doctrine of the Mystical Body of Christ was given clarity and evidence when Our Lord says – “Saul, Saul, why do persecute me? As we celebrate this important feast in the Catholic Church, here are 10 of my favorite quotes from St. Paul (alas – the Sacred Scriptures!) to the Gentiles. There are many lines that I could quote but here’s an idea for you – start reading the New Testament if you haven’t read it already. You will love reading about the very Early Church! 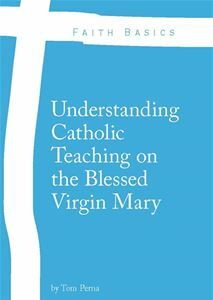 Translation used: Revised Standard Edition – Second Catholic Edition. Ignatius Press, 2006.